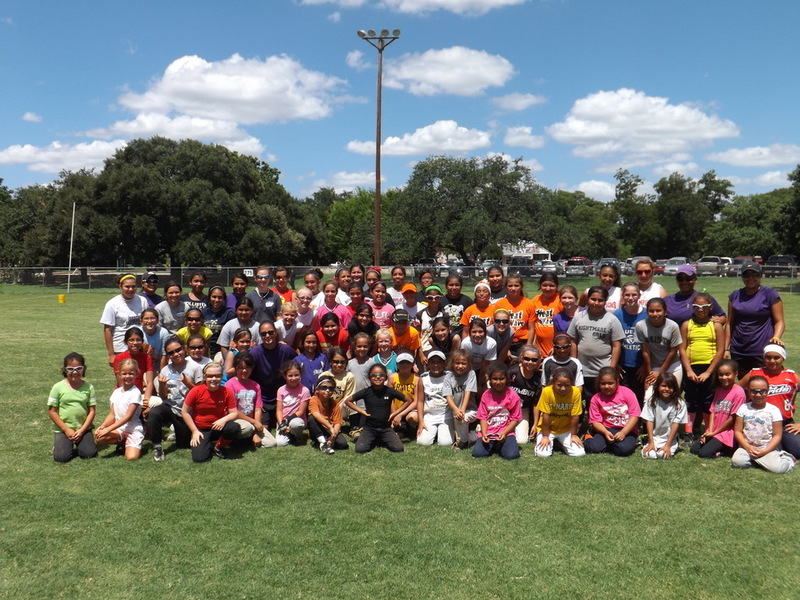 ​​The 2012 Camp was held on July 25, 2012 at the Tony "Skipper" Martinez softball field in Brackenridge Park. It was attended by 68 campers ranging from 10U to 14U. Campers came from San Antonio and the burbs as well as Austin, Buda, Eagle Pass, Kenedy, Natalia, Seguin, etc. Camp assistants were Amanda Trejo, Angel Montejano, and Richelle Morales (St. Mary's University) - see bios. Other helpers were Danielle Aguilar (Our Lady of the Lake University signee) and Katelyn Corley (Antonian High School).